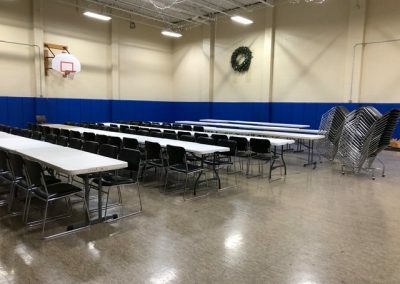 Detroit — We’ll know for sure on Saturday, but the preliminary results were more than encouraging. 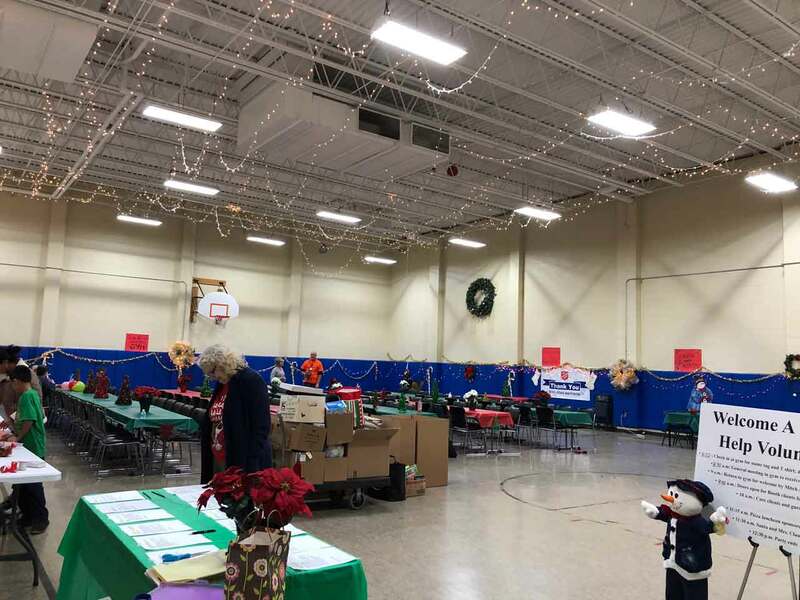 For the first time ever, A Time to Help added a second event (aka pre-gamer) in advance of SAY Detroit’s annual Christmas Party to benefit The Salvation Army Harbor Light in Detroit: a decorating party to get the Ellen A. Thompson Center all gussied up before Saturday’s big day for shelter residents and their children. 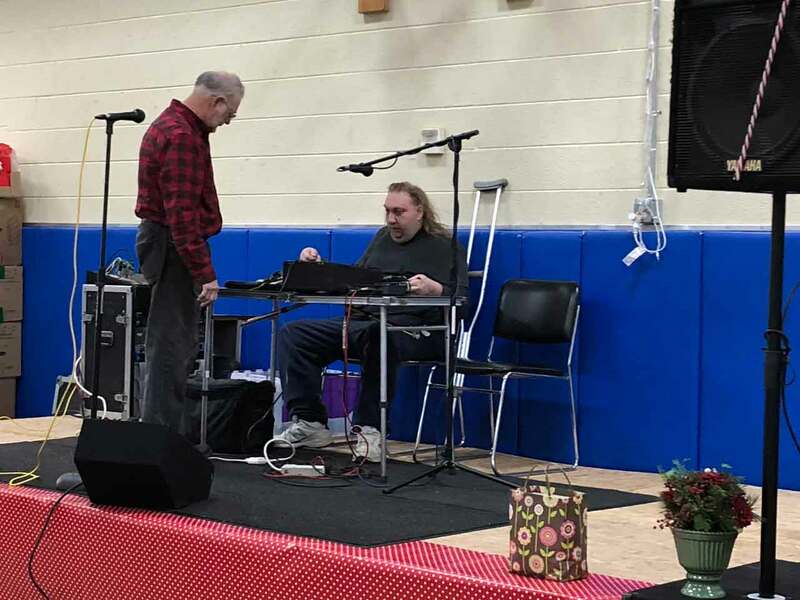 The reason was two-fold. 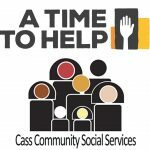 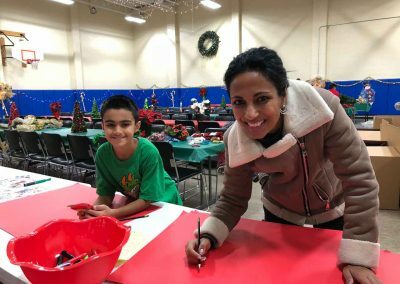 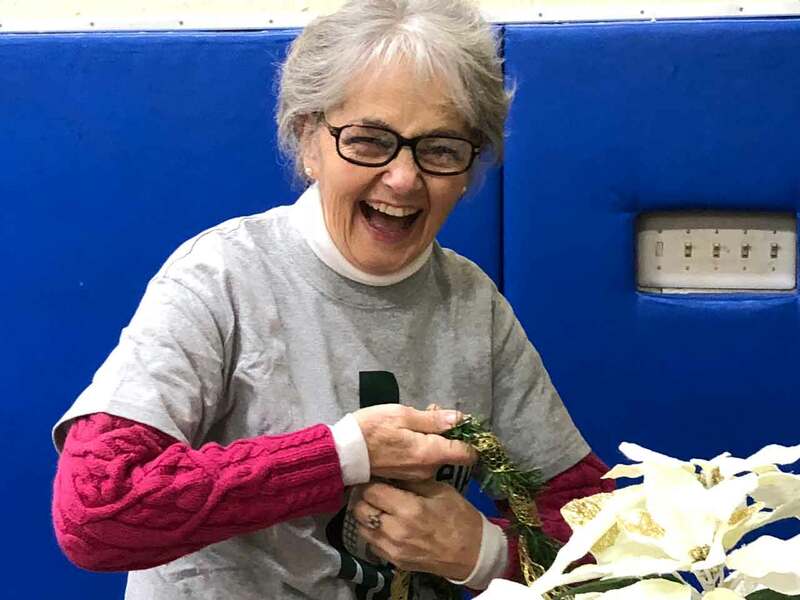 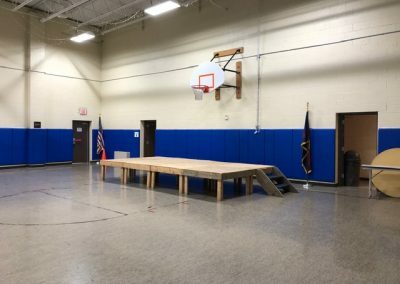 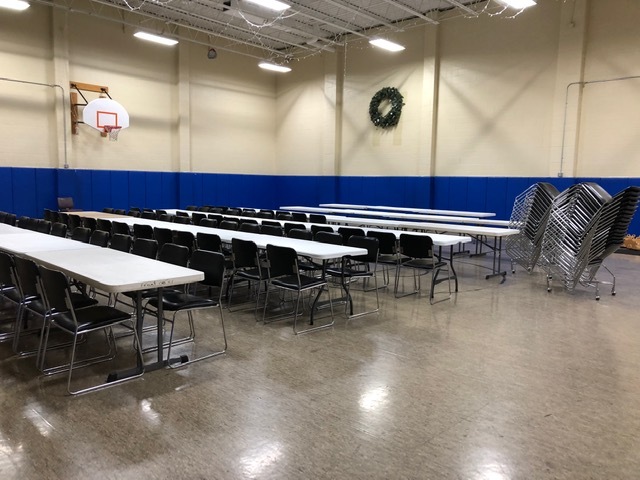 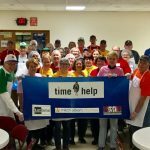 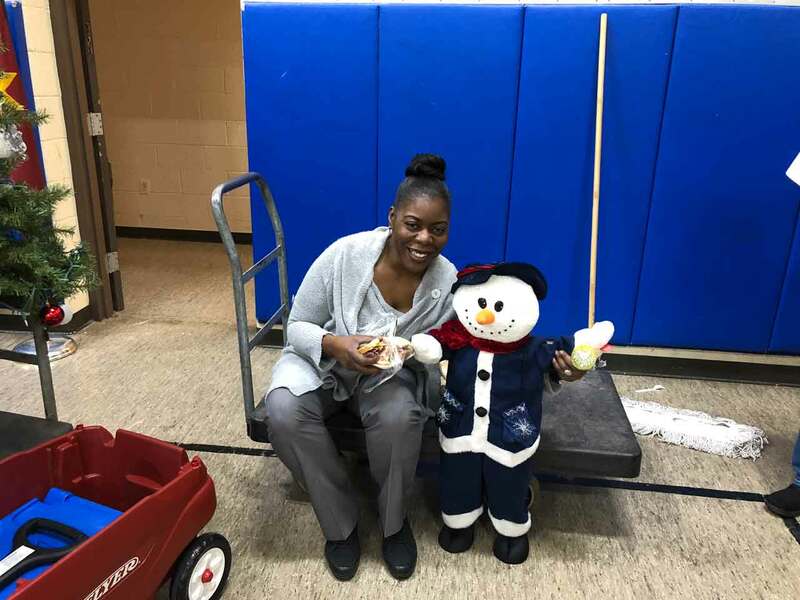 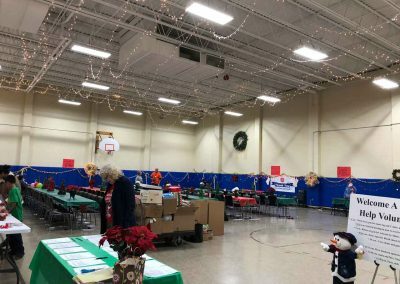 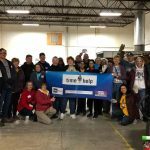 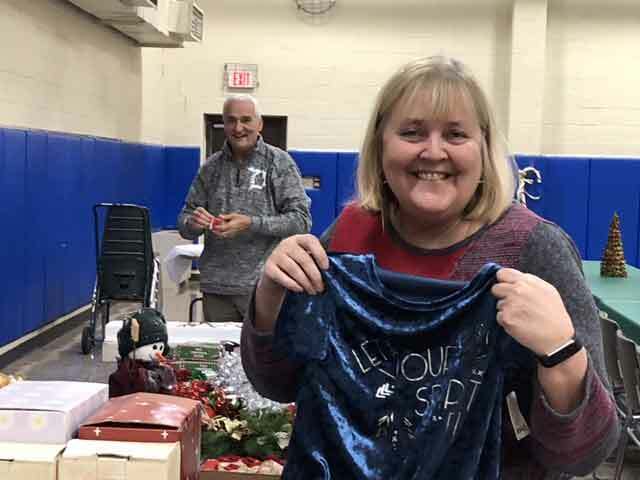 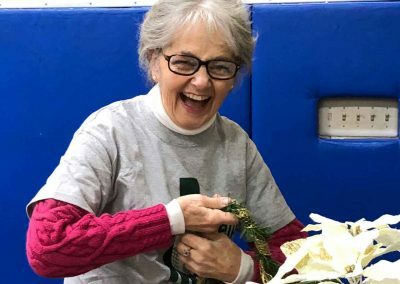 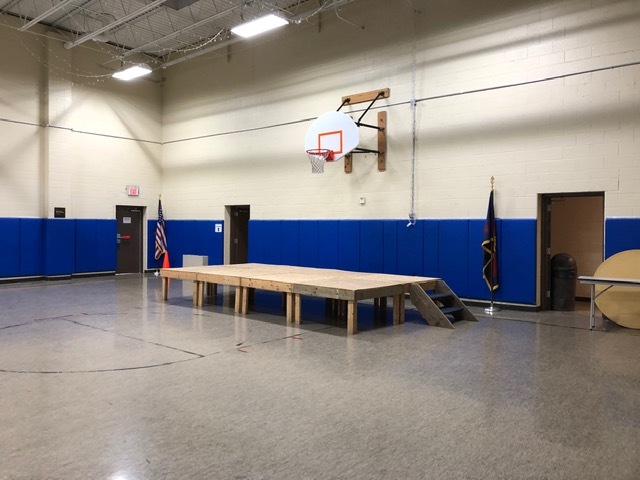 The first was because registration for the Christmas party traditionally fills up quickly; having another event offered ATTH to include more volunteers during the holiday season. 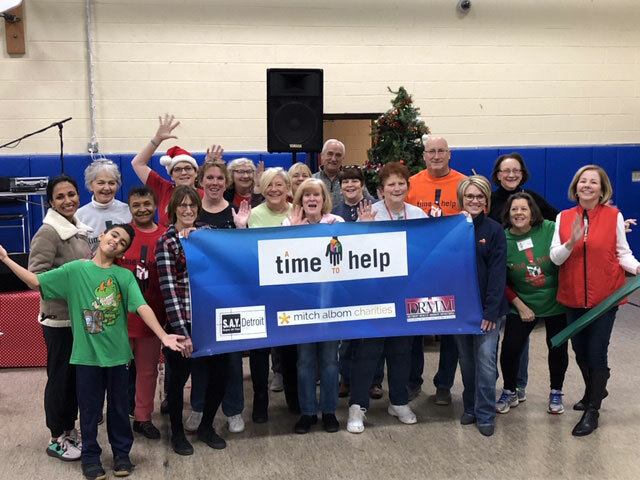 The second was to catch the volunteers who want to be involved, but are unable to help on the day of the party. 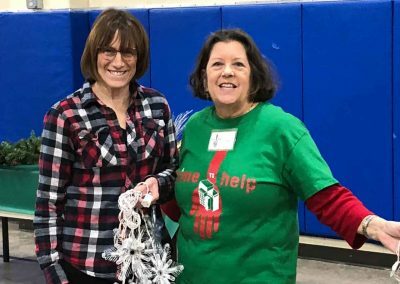 Sue Schuldeis and Leslie Reaser were in the second category; scheduling conflicts prevents both from volunteering Saturday. 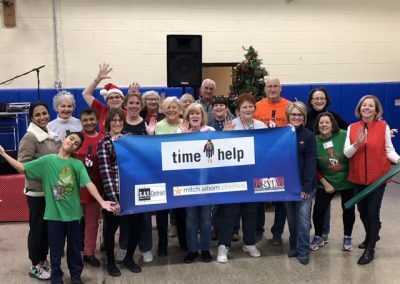 A Time to Help is glad she came, too. 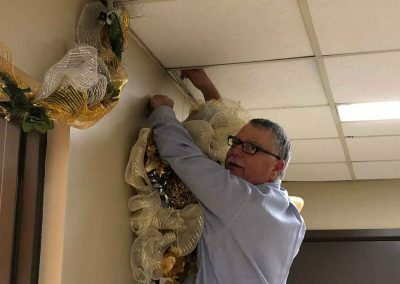 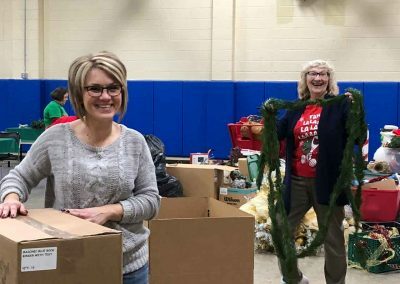 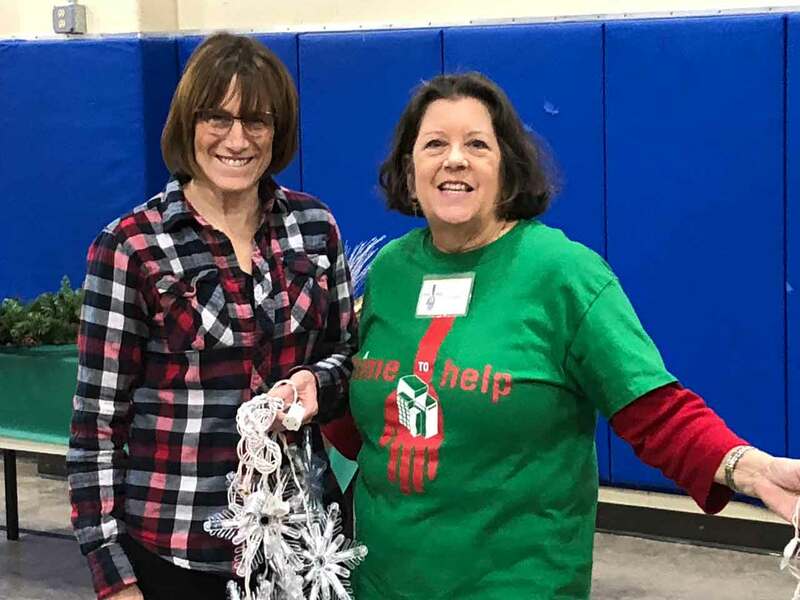 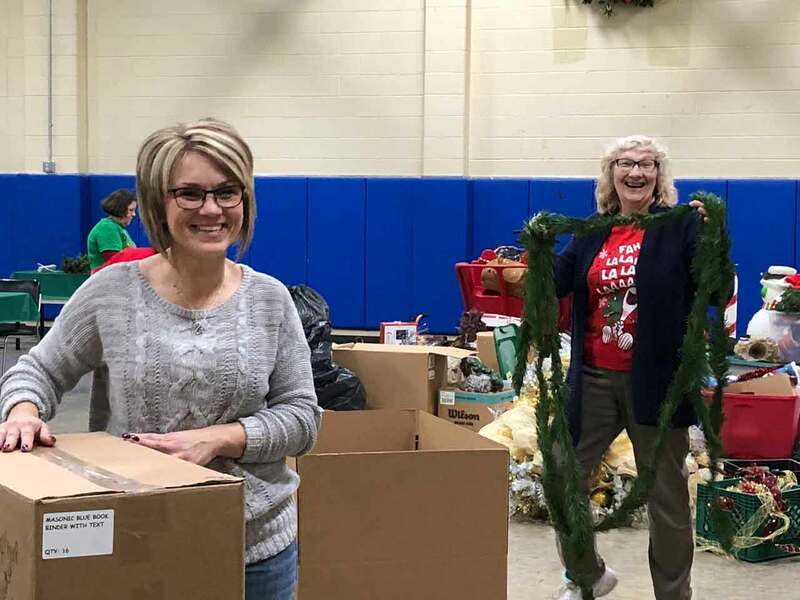 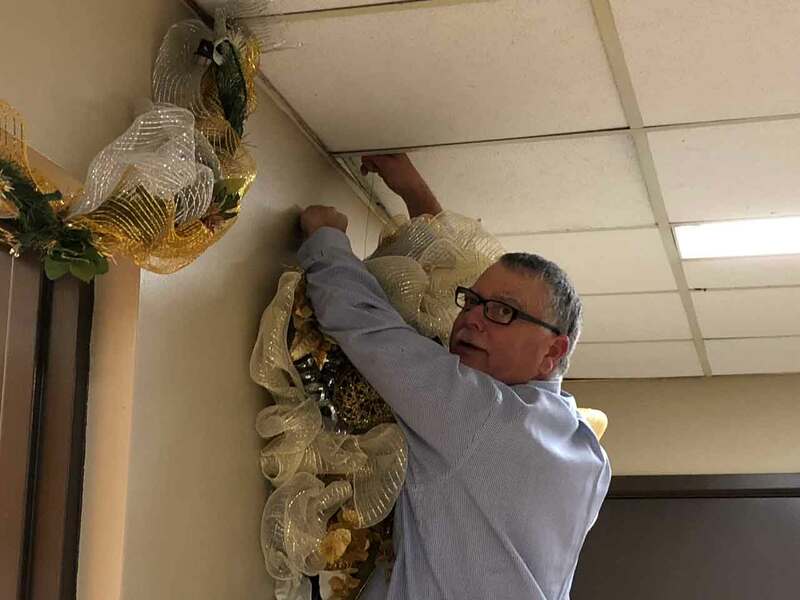 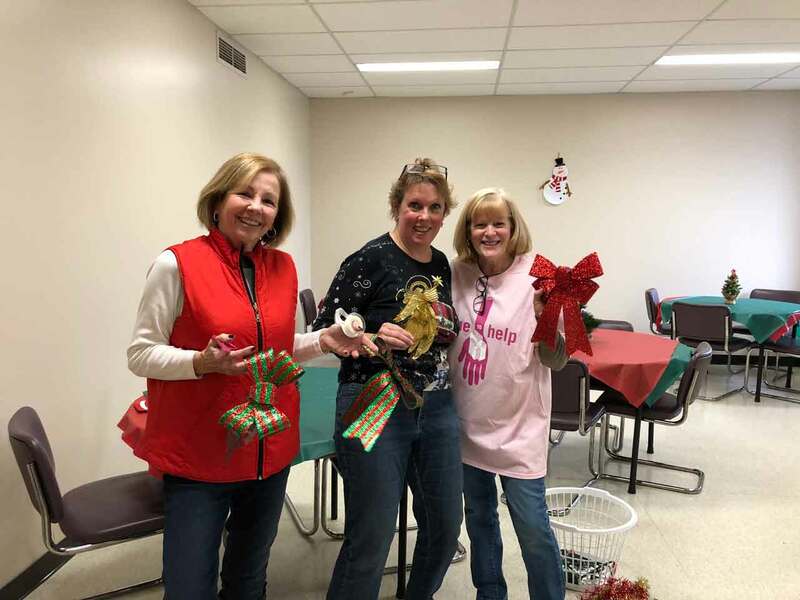 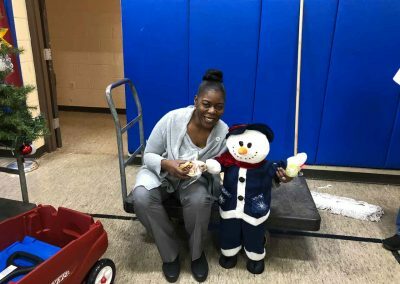 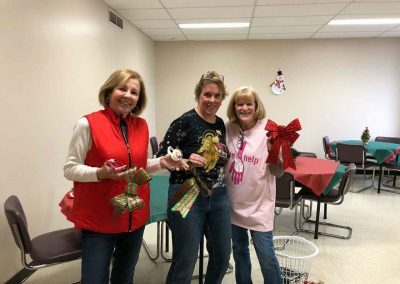 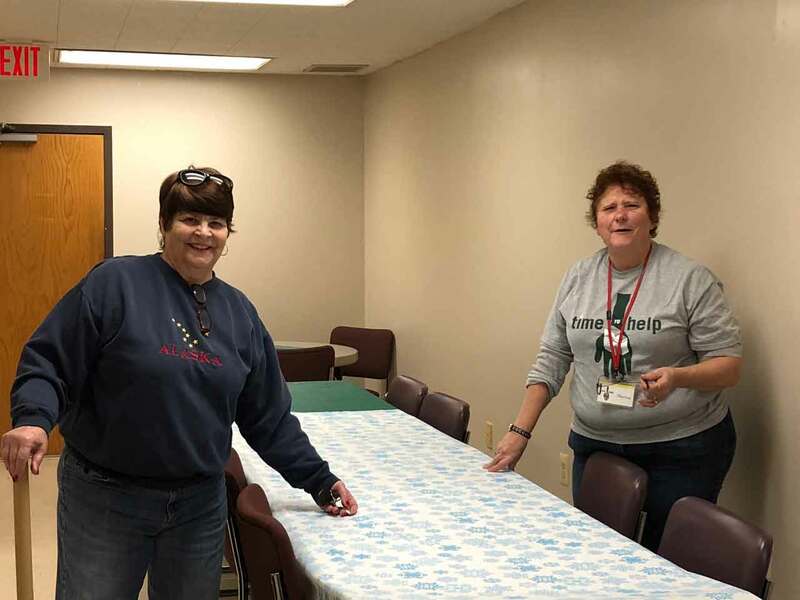 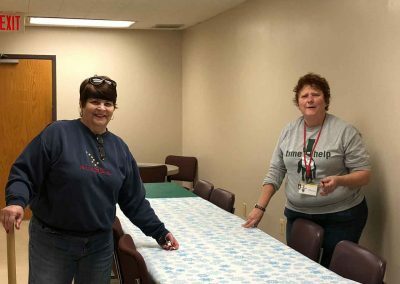 Nearly 20 volunteers worked Friday afternoon to ensure that Saturday’s party will be a success for The Salvation Army’s clients and shelter residents. Holiday tunes blared from speakers as volunteers strung lights, hung wall decorations and set up the stage and tables.